There are Social Security disability experts that can help you to ensure a claim is filed and processed as fast as possible. 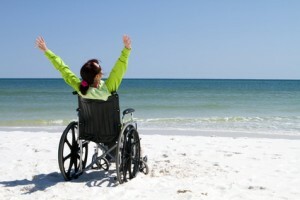 Being diagnosed and living with a disability, even if it is short term, can literally turn someone’s life upside down. You immediately lose your ability to earn and in most cases, are facing significant additional financial needs as well as your already existing finances. If you do not have savings, it can put a huge burden on the family budget. Luckily, Social Security disability is in place for just such cases. The Social Security program has many benefits, one of which is offering disability benefits to those that qualify. In order to be considered for benefits, the applicant must have Social Security qualified earnings. In other words, taxable income. The benefit amount is determined by how much the individual has earned over the course of his or her life. Social Security Disability Experts can Help you File as Fast as Possible. This being a supplemental program, not everyone is familiar with the process in making a claim. However, there are Social Security disability experts that can help you to ensure a claim is filed and processed as fast as possible. With approximately two thirds of all applications being denied on the first attempt and the process taking as long as five months, you want to literally ensure all your “I’s” are dotted and your “T’s” are crossed. One of the fastest ways to process a claim is online. This can be done on the Social Security Administration website and inputting the information should not take you or your attorney very long. Once the application has been submitted with all supporting documentation, you can expect a decision in the next three to five months. Benefits will begin on the sixth month after the approved date of eligibility. To ensure the application is completed properly, hiring a disability attorney is a very smart move. He or she will go over all information and documentation needed to ensure the application is completely processed the first time around. The last thing you want when you are in need of money is to have your application put on hold because you were missing a document or did not have the contact information for one of your health care providers. It is perfectly normal to wonder about legal fees to secure a disability attorney, especially if your finances are already tight. But, rest assured, most attorneys in this field offer very reasonable fees as well as payment plan options. This enables you to get the financial help you need as quickly as possible to resume your normal “quality” of life. I am eligible to get disability.every place floor made out of cement If I hit head on cement will kill me.